more than 50 million years ago. 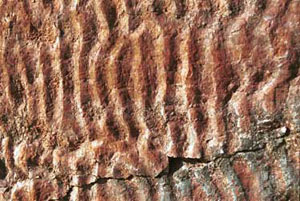 Geology is the study of the Earth, the rocks it is made of and the processes that shape its surface. Australia, which was once a part of the supercontinent Gondwana, is an ancient land with some of the oldest rocks, which were formed when the Earth's crust started to cool approximately 4 billion years ago. The geology of this ancient landmass plays an important role in producing different soil types and landforms, which create the different and unique ecosystems we have. Invited speakers give informative talks on a range of earth sciences topics. Such topics include geology, palaeontology, mineralogy and planetary science. Meetings are held on the 4th Wednesday of the month, at 8pm, in the FNCV Clubrooms. 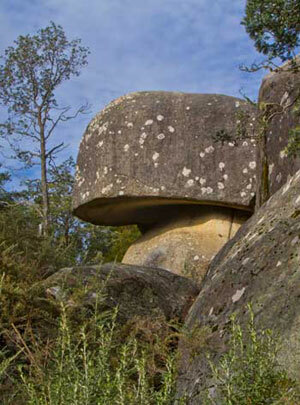 We conduct excursions, either as day or weekend trips, to interesting geological sites. 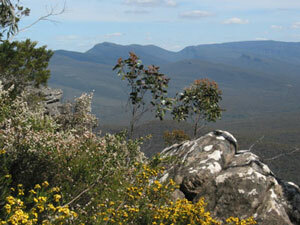 Grampians:- an ecosystem forged by its geology.